UE Local 506 was instrumental in the development of a new initiative, launched this week, to bring jobs to Erie, PA. The Choose Erie website features Local 506 prominently. In contrast to many "economic development" programs which seek to attract companies by promising low wages, union-free environments, or lax regulation, Choose Erie highlights the skilled workforce and the quality of life in this working-class city, with affordable housing, opportunities for outdoor recreation, and a proud manufacturing history. 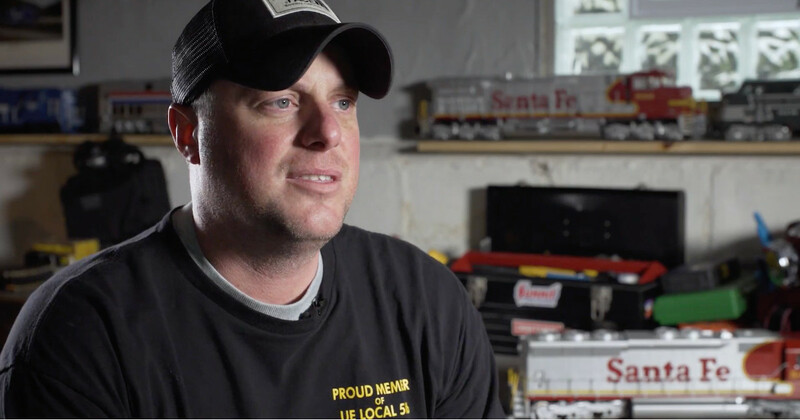 "Erie is a diverse group of blue-collar people who aren't afraid to get their hands dirty and accomplish what needs to be done," Local 506 member Brad McCurdy says in the promotional video featured on the website. Local 506 leadership recognized that manufacturers from across the country were busy trying to attract Erie’s highly-skilled workers, but Erie workers wanted to stay in Erie. Choose Erie grew out of conversations between Local 506 President Scott Slawson and Erie County Executive Kathy Dahlkemper, and has won support from the Erie County Council, Mayor Joe Schember, Erie Regional Chamber and Growth Partnership Chairman Tom Tupitza, and other local officials.